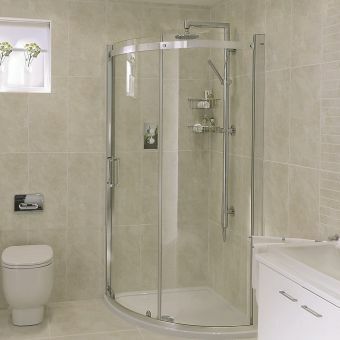 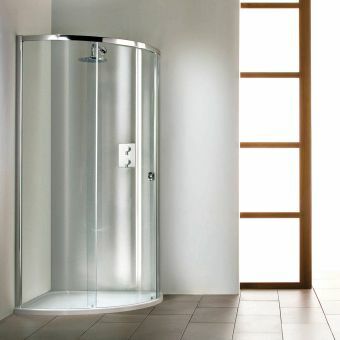 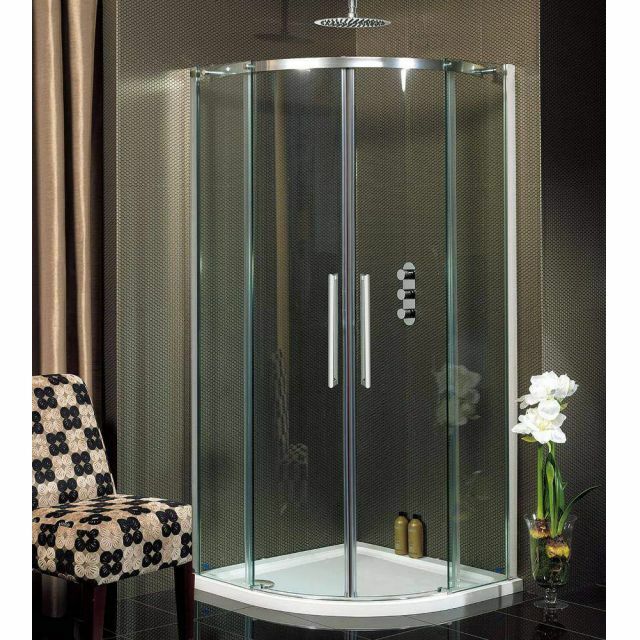 Create a haven within a haven by adding the Ten Quadrant Double Door Shower enclosure to the bathroom. 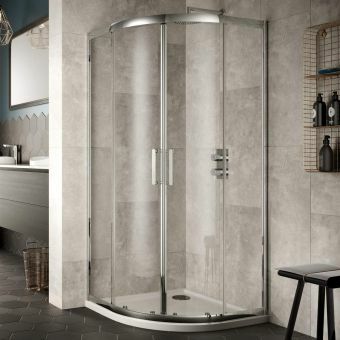 Designed to be fitted flush to the corner space, this shower cubicle is a stylish blend of chrome and glass, creating a light and inviting area in which to relax. 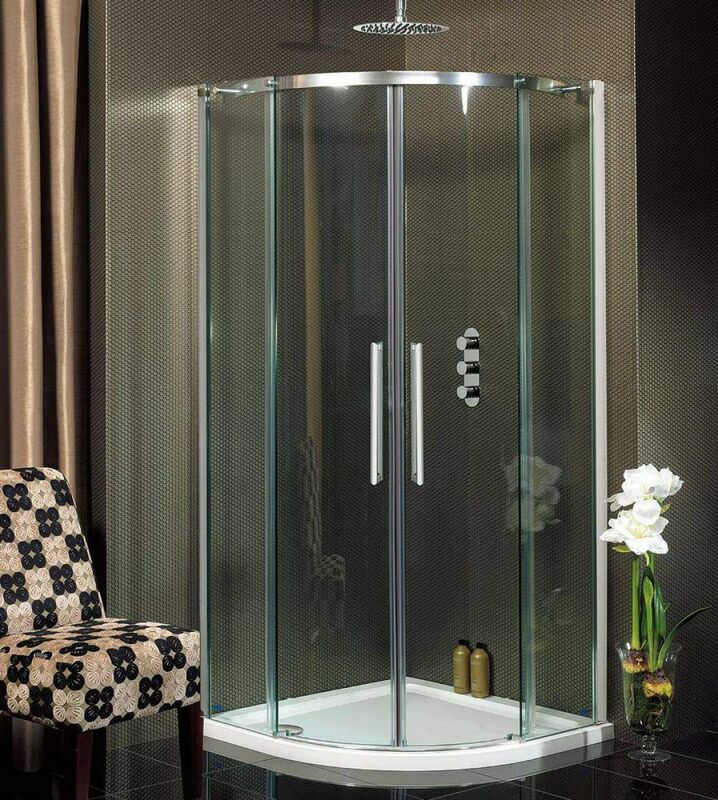 Twin sliding doors form the curvature of the piece, allowing easy access to the enclosure. 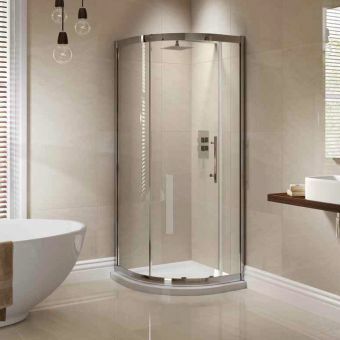 With this mechanism, it is suitable for installation to any corner, not requiring consideration for a left or right hand opening like some conventional shower doors. 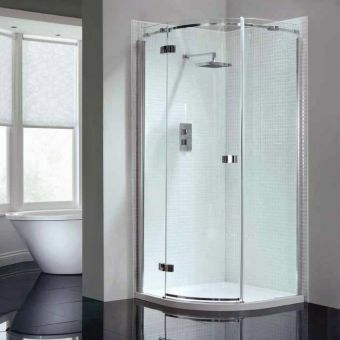 Fully power shower proof, this enclosure uses a bright and modern colour scheme, and comes with the Simpsons Clear treatment as standard to repel dirt and keep the unit cleaner for longer.